Temperature is a major determinant of ecological niche (Hudson, 1986; Magan, 1997). It exerts an influence on fungi largely via its effects on enzyme-catalysed reactions. The overall response of a fungus to different temperatures represents the combined effect of numerous different chemical reactions, each of which exhibits its own characteristic relationship to temperature (Rayner and Boddy, 1988). The growth responses of fungi to temperature are variable, with many wood-rotting Basidiomycota are largely mesothermic, having minimum, optimum and maximum temperatures for growth in the region of 5, 25 and 40 °C respectively (Cartwright and Findlay, 1958). Some wood-inhabiting fungi have a tolerance to unusually high temperatures. Thermophiles with an optimum between 40 and 50oC have been found in piled wood chips (Hudson, 1986). However, the optimum temperature for growth of most wood-decay fungi from temperate regions is between 25 and 30°C. 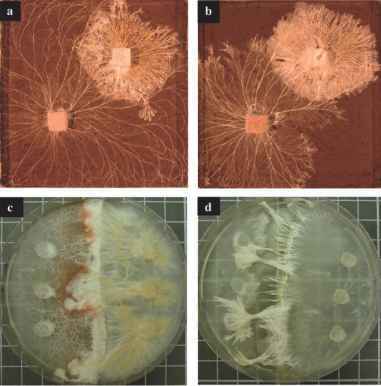 For example, none of the 11 wood-rotting basidiomycetes studied by Boddy (1983) grew at 40°C and only five grew at 35°C. Many tropical species, especially in the genus Trametes, grow optimally in the range 30-40°C, compared to 20-30°C for temperate species (Mswaka and Magan, 1999). This highlights that significant differences exist between tropical and temperate basidiomycetes. Temperature relationships of four North American Ganoderma species correlated with geographic distribution: G. colossum collected from sub-tropical regions of Florida had a high-optimum temperature range of 35-40°C (Adaskaveg and Gilbertson, 1989). It is possible that fungi from the tropics may exhibit higher temperature optima for growth and tolerance than their temperate counterparts, but this has seldom been examined. The influence of high temperatures on fungi decaying Pinus contorta slash was investigated by Loman (1965). Two fungi, Phlebia phlebiodes and Lenzites sepiaria, which have high-temperature optima and a wide temperature tolerance, were dominant in the upper 5 cm of exposed slash. Stereum sanguinolentum and Coniophora puteana, which had lower temperature optima and narrower temperature tolerances, were mainly active at greater depths in slash pieces. This demonstrated that temperature markedly affects the distribution of fungi within a habitat. Detailed studies have been carried out on a range of tropical species, especially Trametes and related species from Zimbabwe, on 3% malt extract agar (MEA) and on wood substrates (Mswaka and Magan, 1998,1999). These showed that maximum growth rates were largely similar for isolates of the same species, regardless of their origins (Fig. 1). Generally, the Trametes species that were collected from hotter regions of Zimbabwe had broad growth temperature ranges (Mswaka and Magan, 1999). For example, T. cervina and T. cingulata grew on 3% MEA at >50°C indicating thermotolerance. T. cervina showed the highest growth rate (approximately 18 mm/day) whilst T. menziesii and Lenzites elegans grew very slowly under the same conditions (approximately 6 and 8 mm/day respectively). There appeared to be three groups based on their optimum and maximum temperatures for growth. Species such as T. menziesii, T. versicolor, Phaeotrametes decipiens and Irpex stereoides fell into the low-temperature group with an optimum between 25 and 30°C and no growth above 37°C. The intermediate group of T. pocas, T. modesta and T. elegans had optima of 30-37°C with no growth at 45°C, whereas T. cervina, T. cingulata and T. socotrana were considered high-temperature fungi with growth optima in the range 37-40°C and growth ceasing at 55 °C. Interestingly, the maximum growth rate of T. versicolor (ca.10mm/day) was 2.5 mm/day faster than that recorded for temperate isolates of this same species (Hennington, 1968; Boddy, 1983). Thermophilism in fungi relates to those fungi which grow only within the range 20-50°C or higher, with the maximum temperature at which a fungus (Humicola lanuginosa) is known to grow at ~60°C (Lacey and Magan, 1991). Although the Trametes species had high-temperature optima, they cannot be strictly classified as thermophiles because of their ability to grow at <20°C. 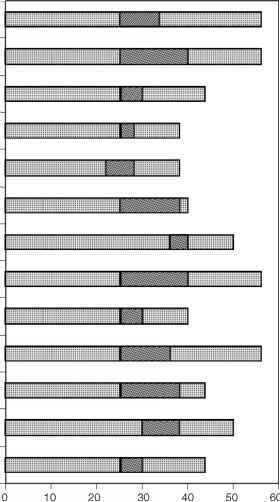 Figure 1 The temperature range and optimal range for growth of different tropical basidiomycetes. Source: Adapted from Mswaka and Magan (1999).